Washington Baum Bridge | Capt Tony's "Walkingangler.com"
This bridge spans the Roanoke Sound between Roanoke Island and Nags Head. 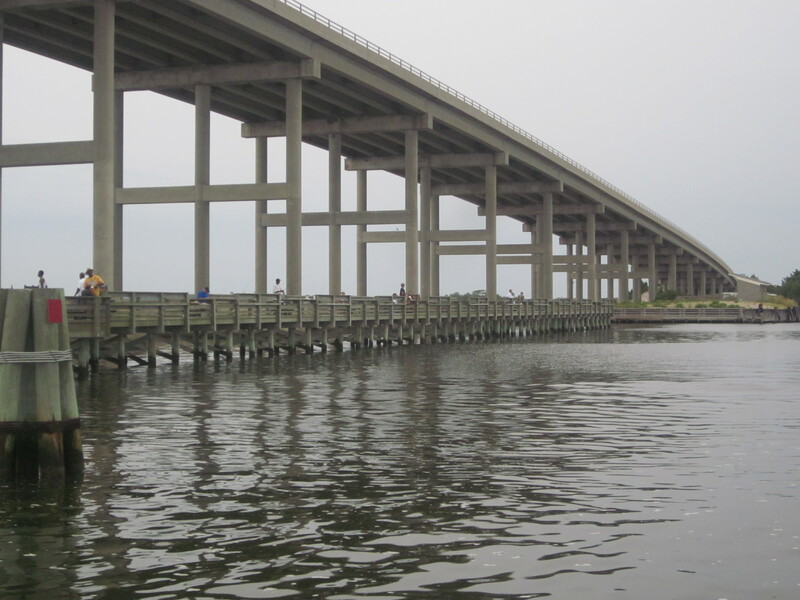 There is a beautiful dock and pier on the west end of the bridge. It is shaded part of the day. The access area, parking and boat ramp are just south of the Pirates Cove Marina.